In 1995, production of the Aston Martin Virage sports car, a 2+2 coupe, ended with 365 units having been built. It's name was changed in 1996, with the designation V8 Coupe, and the most notable change was that output increased from 330 to 349 bhp, and there was an improvement in torque from 350 to 369 ft/lbs. By 2000, when production ended, a total of 101 units of the V8 Coupe had been built. A unique limited edition variant of the Virage was introduced in 1992 and took the form of a four seater, three door Estate, which was referred to as the Virage Shooting Brake. Aimed at the country fraternity, only six were built. 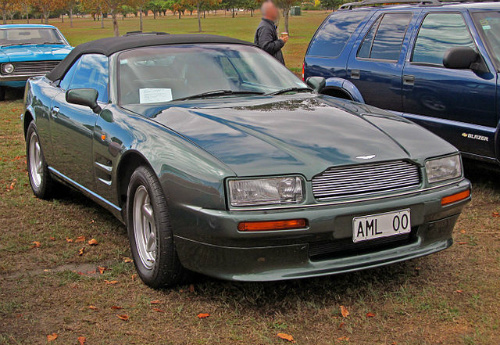 The Virage Convertible, otherwise known as the Volante, was introduced in 1990 at the Birmingham Motor Show as a pure two seater. However, a year later, the Volante was premiered at the Geneva Motor Show in which the original two seater format was revised to a much more marketable 2+2 variant. It was powered by the same 5.3 litre engine as used in the Virage coupe of 1992 but with output marginally increased from 350 to 354 bhp. When production was brought to a close in 1996, a total of 233 units of this version of the Volante had been built. However, in 1997, a Volante was introduced in which the wheelbase had been increased to improve seating capacity by increasing legroom. By 2000, a total of 63 of these Long Wheelbase variants had been built. Also in 2000, to satisfy a specialist market, a limited edition of just nine Volantes were built which featured the high performance Vantage engine. Launched in late 1992 at the Birmingham Motor Show and based on the standard 5.3 litre Virage, the Virage Vantage sports car was restyled to produce a wider, more muscular aluminium bodywork on a steel chassis and available as both 2+2 Coupe and Volante variants. Apart from minor changes to the rear lights, it was fitted with larger 14 inch disc brakes and 18 inch wheels, whilst handling characteristics were improved. The Vantage was powered by a 5.3 litre, V8 engine linked to twin Eaton superchargers that developed 550 bhp at 6500 rpm and 550 ft/lbs of torque at 4000 rpm. Fitted with a six speed manual gearbox and using an 8.2:1 compression, it produced a top speed of 186 mph, with 0-60 mph in 4.6 secs which was quite impressive for a car with a curb weight of a huge 1994 kg. When production ended in 2000, a total of 240 units of this Vantage variant were built. 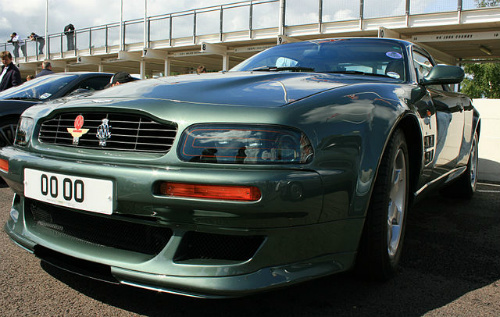 In 1998, the Vantage V600 variant was introduced in which, by introducing alternative Eaton superchargers with additional boost and cooling, output was increased to 600 bhp at 6200 rpm, and torque rose to 600 ft/lbs at 4400 rpm. This enabled top speed to increase to 202 mph, with 0-60 mph in 3.9 secs.